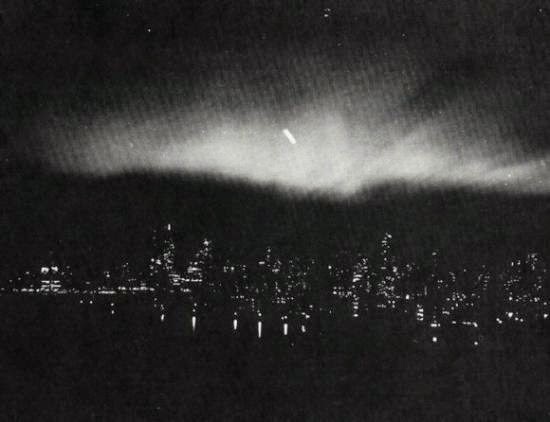 This cylindrical-appearing UFO was photographed over New York City on March 20, 1950. The photographer's name was deleted from Project Blue Book's files -- as were most names when the material was finally declassified and released. Upon investigating the report, Project Grudge officially labeled it: "the moon"! 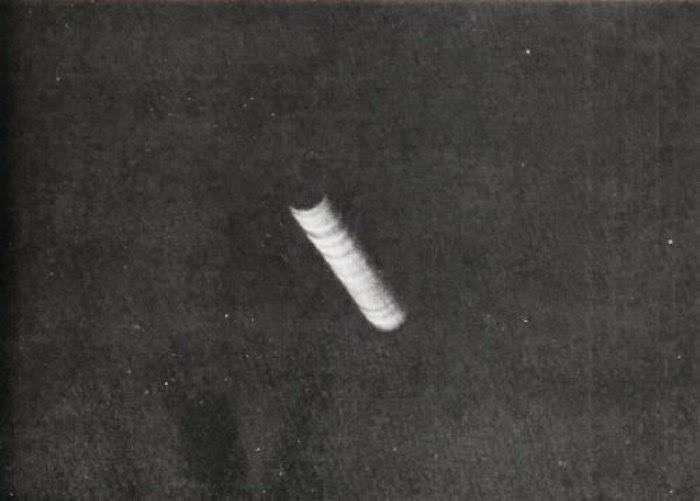 Some ufologists have speculated that tubular objects of this sort may be "mother ships," purportedly capable of taking on and discharging smaller "craft" in stacks, poker-chip fashion.